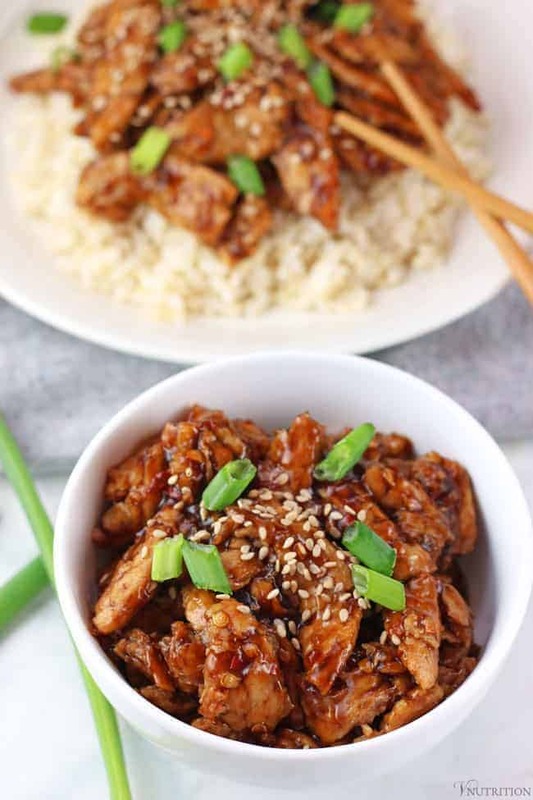 You won’t miss the beef in these tasty Mongolian soy curls! 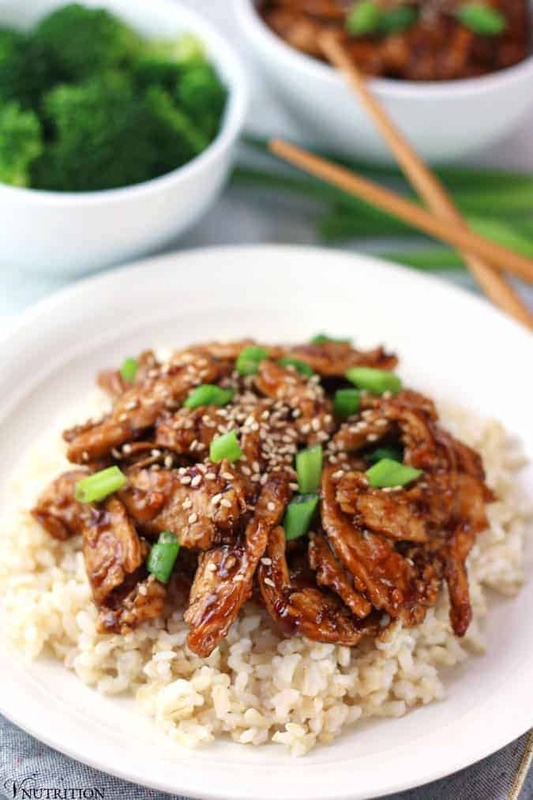 This soy curls recipe is a delicious vegan take on the popular dish from PF Chang’s. I don’t miss too many foods since going vegan but every once in a while when I passed by a PF Chang’s I would think about the Mongolian beef. Don’t get me wrong, I don’t actually miss the beef, it’s more the sauce that I crave. I love the flavor of sweet, salty, and a little hint of heat. Since one of my favorite things to do is try to re-create dishes that I used to enjoy before going vegan (check out my Ranch Pasta Salad and Chipotle Queso for some of my other favs), I thought I’d try to recreate the beef in a healthy vegan way. Tofu was going to be my choice for the “beef” until I found some soy curls when cleaning out the fridge. Butler’s Soy Curls are one of the best meat alternatives I’ve found. They can take the place of both chicken and beef equally well. I figured I could give the soy curls a try and they turned out to be a great sub for the steak in this recipe. I found a “copycat” recipe for the P.F. Chang Mongolian beef from Food.com. I took a bit of an idea from that recipe and put my healthy vegan spin on it. Their sauce recipe calls for 2/3 cup of sugar and I felt that was just too much so my Mongolian soy curls, I came up with a recipe only uses 1 TB of maple syrup to keep the sugar low. I also didn’t want to fry them in a cup of oil so I decided to bake the soy curls. They still crisped up but without all the extra calories. Some fat is good but we don’t need too much. While I haven’t had the PF Chang’s Mongolian beef in a long time, I feel that soy curls recipe tastes just like I remember. Who needs the beef when you can have Mongolian soy curls? 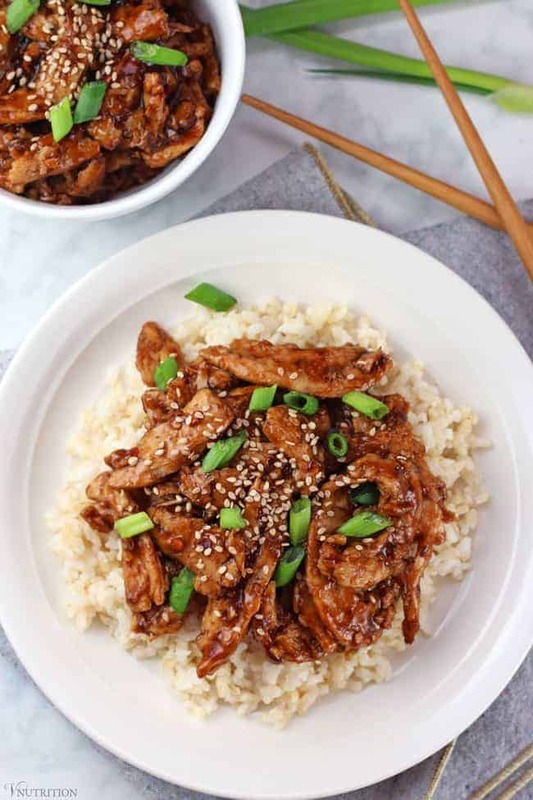 If you make this Mongolian soy curls recipe, let me know what you think by ★ star rating it and leaving a comment below. 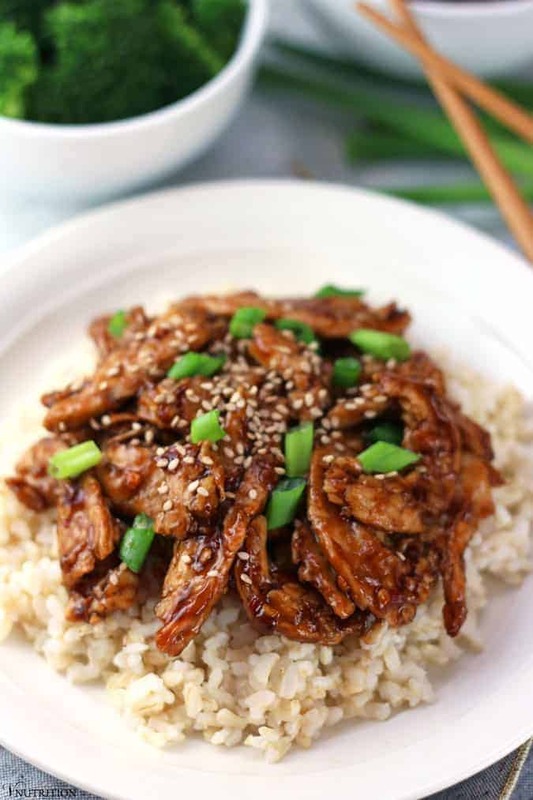 You won’t miss the beef in these tasty Mongolian soy curls! 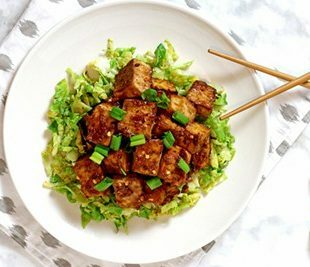 This dish is my vegan take on the popular dish from PF Chang’s. FOR THE SOY CURL "BEEF"
Soak soy curls in boiling water for 10 minutes (or until fully rehydrated). Preheat oven or toaster over to 375 degrees. Drain soy curls and press all the water out of them. I usually rinse them with cold water then wring them out with my hands. You want as much water out of them as possible. Cover baking pan with oil so soy curls do not stick to it. Add soy curls to baking pan and bake for 15 minutes, turning a few times so that nothing is sticking to the pan. While soy curls are baking, mix sauce ingredients together, add to sauce pot and heat to a boil. Once boiling, turn down heat and cook for a few minutes until sauce thickens just a bit. If sauce gets too thick add a bit more veggie broth. Pour over soy curls and enjoy! Thanks so much! The texture wouldn’t be exactly the same but the taste would still be there from the sauce. I would think it would still work if you cubed and baked the tofu. If you try it let me know how the tofu works! I’ve never tried soy curls before, but the results look fantastic! I’ve had some of the most amazing veganized takeout foods lately – like Korean style fried cauliflower. Too many great things to try! Thanks Margaret! 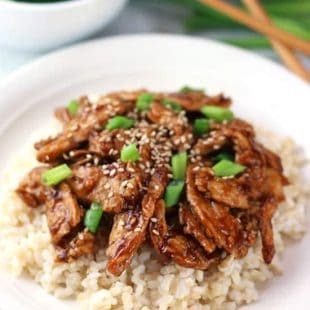 Soy curls are really easy to use and can be a great substitute for meat in so many recipes. The Korean style cauliflower sounds awesome! This looks wonderful! I have not used soy curls in awhile, but need to get some for this. Thanks! They’re so good and a great sub for meat! I have never heard of soy curls or seen them but now I’ll be on the hunt to check them out! I recently tried to start adding soy back in (even though I’ve been told to eliminate it) and thought I could do it in moderation but whole bags of edamame isn’t moderation. The vegan meats from the Vegan Butcher have vital wheat gluten so I keep trying those but have the same issues I did when we first bought all the things on opening day with lots of bloating and issues. SO I’m buying only limited soy, only what I need, and not in bulk or stocking up. I will definitely be on the look out for these though for one of those times to try. Do you find them in the vegan meats section? Thank you for linking up with us for Meatless Monday! Thanks Sarah! I actually had to purchase them off of amazon although I’ve heard some people say they can find them in their local health food stores. They’re dehydrated soy so they’re shelf stable but I actually put them in the fridge after I open them to keep them a little fresher. Maybe if you keep them in the back of the fridge like I did that would keep you from using them too much – that’s actually what I do and then I was so excited when I found them back there. I’ve never even heard of soy curls! But this looks awesome so now I want to make it. Must hit up Whole Foods, stat! I just made this and am eating it now. It is amazing. I agree that the sugar content from another recipe was too much and used Maple Syrup. It tastes amazing. Spot on. I love soy curls. I wonder if when vegan restaurants start taking off that they will use these as a meat substitute. Thank you again and much love. Johnathan, thank you so much for your kind words! I’m so glad you liked the recipe. I’m hoping that more restaurants catch on to using these. It would open up so many more options for those that done eat meat. Yes, please!! I love asian flavors, but don’t cook enough with them. This inspires me! I’ve not tried soy curls before, but will have to give it a go! Let me know if you try them Vicki! I love recreating old favourites from restaurants =) I’ve only had soy curls once, but quite enjoyed them. They make a nice texture that is “meaty” without being too “meaty” haha ;p It sounds like a great dish and I like how you lightened it up. Thanks so much for sharing this at Healthy Vegan Fridays! I’m pinning & sharing =) Have a great week Mary Ellen! Yes, that’s how I would describe them too, Kimmy – meaty but not too meaty lol. I have not worked with soy curls so this should be a fun recipe to try at home. I am so delighted that you shared your healthy and delicious Mongolian Soy Curls at the Healthy Happy Green Natural Party! I’m Pinning and sharing this! Hi Shaheen! Thanks for stopping by! The sauce is really what makes the whole dish. 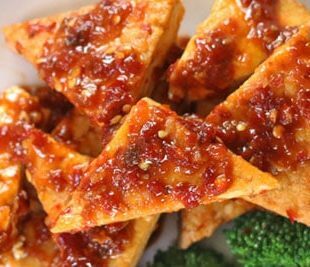 I was thinking of making it with tofu to being with until I remember I has some soy curls so baked tofu might be an option. I was reading about some type of soy product on a UK blog that looked so good but it was only available in there. I wish I remembered what that was because that would have worked in this dish. If I find it, I’ll let you know! Those sound soooo tasty and look so inviting! Thanks for sharing. 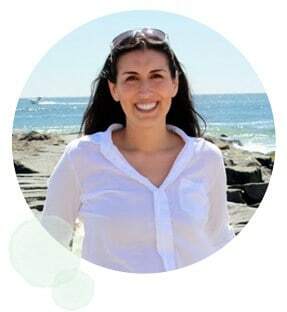 Thanks so much Clotilde! Let me one if you try them! I’m excited to try this recipe, hopefully tonight. I’m just a little confused with the directions, It calls for soy sauce twice, once with the beef and once with the sauce. Do I add soy sauce to the re-hydrating water? I was also wondering if I could re-hydrate in a vegan Un-beef broth? Yum! How many does this serve..assuming you’re serving over rice? I just tried these curls and they’re so delicious. This recipe looks so good- thank you for sharing it! This may sound like a dumb question, but how long do soy curls last in the refrigerator after they have been rehydrated? Butler foods, the creator of soy curls, has places that carry the product on their site. I have found that boiling water isn’t necessary. I heat water to the hot but not boiling stage and pour it over the curls. They hydrate in about 15 minutes. Hi Judd, thanks for posting about the boiling water. My site does not allow for links in comments so I had to leave your links off for the comment to show up. 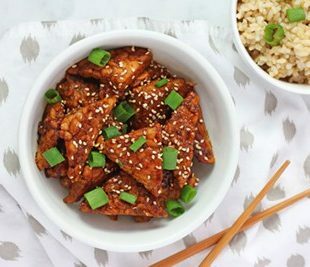 I hope you get to try my soy curls! Are there directions or just an ingredient list? Maybe your site just doesn’t work on iPhone!? It’s back up and ready now Jessica! Sorry for the confusion, moving my recipes to another recipe card on the site has been a nightmare! I made this today and totally loved it! Thank you so much for sharing! What a fantastic idea! 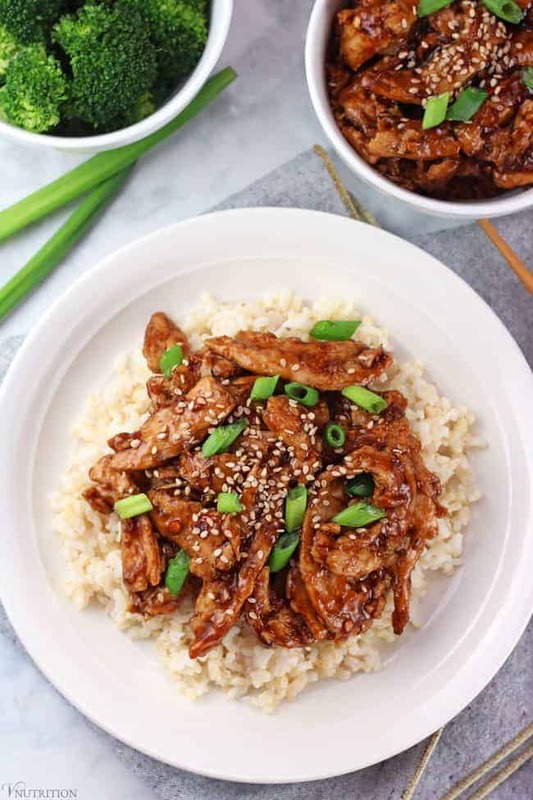 I rarely cook soy curls because I have a difficult time getting the texture right, but you make me want to give it another try. Thanks so much Sarah! Definitely give it a try if you get a chance – I ate the whole thing the other day when I was retaking my pictures! Ooh I don’t cook with soy curls nearly often enough. I need to change that with this recipe! I’ve recently become a fan of soy curls! I had no idea how easy and versatile they were until recently. Can’t wait to try these! I love this recipe! Soy curls are so good in Asian-inspired dishes. And this sauce it really delicious! These look amazing! On our menu for this week! I am totally with you—it’s never the meat I miss. Meat tastes like nothing on it’s own. It’s all about the sauces, and you can always make those vegan! Yum! Made this last night and it was tasty, but I’m going to cut the tamari in half next time, because it was a touch too salty for us. Still, great flavors! Thanks for the feedback Melanie! I’m glad you still enjoyed it! I’m a “salty” kind of girl but maybe I should cut it back a bit. Super easy and super delicious! I am enjoying this for lunch. Thank you! just made this! It was really good! I’m going to have to figure out how to do something about the texture of the soy curls….needs a little softening. Thanks so much! I’m so glad you liked it SA! If they’re not soft enough for you, you can soak them a bit longer or if the problem is that they’re not as soft after baking, you actually don’t have to bake them. I bake them to make them a little crispier but they’re already cooked so you could just add the sauce once you rehydrated them. Let me know if you try that and it’s a little better for you. So good, and easy to make! Next time I make it (there will definitely be a next time) I will double the sauce recipe so there is extra sauce – the soy curls soaked up all the sauce there was, and I like extra sauce for my rice. I baked the soy curl about 5 minutes longer. Thanks Jenny! So glad you enjoyed them! Great idea about making extra sauce for the rice. This was my first time using Soy Curls, great recipe, so easy! I used low sodium tamari and served over shredded cabbage. I’m so glad you liked it Lisa! Serving over the cabbage sounds tasty!